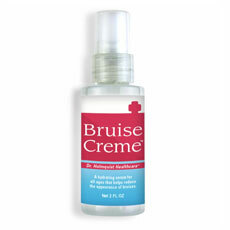 BruiseCreme visibly reduces the appearance of bruises when applied soon after minor injury. It is recommended and used by doctors and pharmacists for seniors, beauty mavens, athletes, and children. Shipping cost is $6.50 per bottle. Purchase 3 bottles for FREE SHIPPING!